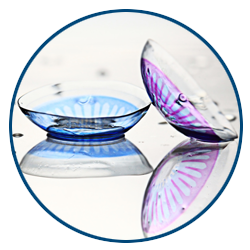 Treating ocular surface complications, such as conjunctival and corneal diseases, require the expertise of a contact lens specialist as well as utilizing the latest technologies. Utilizing amniotic membranes, patients discover substantial benefit in their vision, reduction of irritation, and immediately treats severe dry eye disease. Why choose Amniotic membranes or Amniotic disks over eye drops? The causes of dry eye disease vary depending on the level of inflammation, redness, burning, or eye pain. Many dry eye treatments like over-the-counter and prescription eye drops often provide some relief, but the effects fail to treat the eye’s surface. 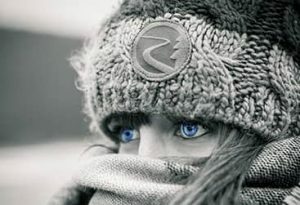 Through a small contact lens that contains an amniotic disk, a patient’s eyes will regenerative properties to restore the eye to a normal state. No other treatment provides such restorative features that can heal a damaged cornea and treat dry eyes simultaneously. The usage of amniotic membranes has been shown in clinical studies to heal the eye, soothe eye pain, and improve overall vision. What can an Amniotic Disk in Baltimore treat? By healing the ocular surface through an amniotic disk, one prevents eye conditions from leading to potential corneal scarring, corneal nerve damage, or degeneration of the corneal epithelium. How are Amniotic disks inserted? Amniotic disks are advanced medical devices that require a contact lens specialist for insertion and removal at the office. The disk is placed directly on the unhealthy cornea and then covered by a soft contact lens to ensure the disk stays in place. The disk will dissolve into the cornea to immediately begin healing the eye over the next 5-7 days. 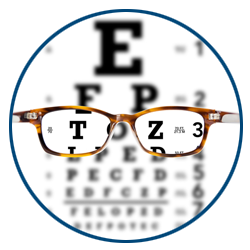 Through an amniotic membrane, dry eye disease, corneal erosions, chemical or thermal burns, epithelial corneal defects, and even eye infections can be treated effectively when other conventional treatments failed or provided inadequate relief. The use of amniotic membranes has been FDA approved as a class II medical device. Protective, wound healing, and anti-inflammatory effects from using these disks also received FDA approval. 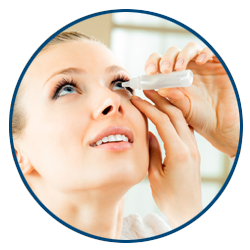 Interested in Amniotic disks and other advanced dry eye treatment? 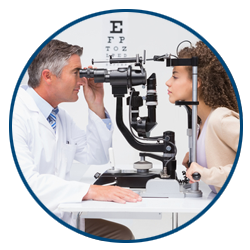 Contact our dry eye & contact lens specialist for more details.